Since 1990, Dr. Patrick Maddigan has been passionate about helping patients from every walk of life experience the best health possible that comes from an optimized nervous system. He offers customized, gentle care for all ages and features on-site X-rays. Call today! 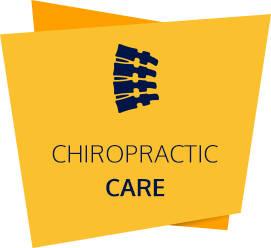 Wexford Chiropractor Dr. Patrick Maddigan offers his patients customized care options in pain relief and wellness optimization, with particular emphasis on pediatric chiropractic care. Our practice also enjoys working with young professionals and high school athletes, as well as those in their golden years. Over two decades of experience have provided us with the tools and expertise to help the members of the North Hills community, without regard to age or current state of vitality. Pediatric chiropractic care is one of our specialties. We believe that children that grow up under regular chiropractic treatment blossom and thrive. Dr. Maddigan also enjoys working one-on-one with high school athletes that are either hoping to up their game or recover quickly from injury. We have a reputation in the community for outstanding care delivered with a gentle touch. 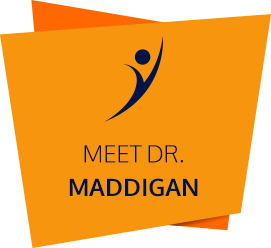 Dr. Maddigan provides a variety of cutting-edge adjustment techniques that require no twisting or popping of the spine, with an emphasis on a well-respected technique called Specific Prone. Our patients are frequently amazed that such a gentle, low-force technique can offer such incredible benefits, with results often seen on the first treatment. They are happy and relaxed, and look forward to their adjustments! We pride ourselves on being a referral-based practice. Our office receives accolades for our comfortable care, and we appreciate that most of our patients find us through word of mouth. Our practice is like one big happy family. Patients appreciate the warmth of our office environment and our unique location in a 1930s red brick Victorian-style home. The experienced care at our beautiful location is compassionate, supportive and heart-centered. We respect your time, and make every effort to be a center of efficiency and effectiveness; we want to earn your trust. Contact us today for a same-day appointment with our chiropractor Wexford Dr. Maddigan!